I've received several emails about patterns not printing. If you use Firefox... try using Internet Explorer from which to print. paste it into a word program and print it from there. 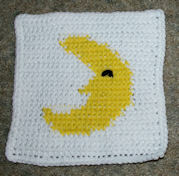 Online crochet course ... keep watching our homepage for information about how to sign up. Send us suggestions on ways to improve the Crochetnmore website. Email me your video suggestion. I have added more videos since our last issue. I am looking for a crochet wedding dress pattern. My daughter is having a beach wedding next year in Cuba and wants me to make her dress. I need crochet pattern for her dress. you could make the sleeves shorter for a beach wedding. "For this reason I say to you, do not be anxious for your life, as to what you shall eat, or what you shall drink; nor for your body, as to what you shall put on. Is not life more than food, and the body than clothing? Look at the birds of the air, that they do not sow, neither do they reap, nor gather into barns, and yet your heavenly Father feeds them. Are you not worth much more than they? And which of you by being anxious can add a single cubit to his life's span? And why are you anxious about clothing? Observe how the lilies of the field grow; they do not toil nor do they spin, yet I say to you that even Solomon in all his glory did not clothe himself like one of these. But if God so arrays the grass of the field, which is alive today and tomorrow is thrown into the furnace, will He not much more do so for you, O men of little faith? Do not be anxious then, saying, 'What shall we eat?' or 'What shall we drink?' or 'With what shall we clothe ourselves?' For all these things the Gentiles eagerly seek; for your heavenly Father knows that you need all these things. But seek first His kingdom and His righteousness; and all these things shall be added to you. Therefore do not worry about tomorrow, for tomorrow will worry about itself. Each day has enough trouble of its own." Do not be afraid when a man becomes rich, when the glory of his house is increased; for when he dies he will carry nothing away; his glory will not descend after him. "Do not lay up for yourselves treasures upon earth, where moth and rust destroy, and where thieves break in and steal. But lay up for yourselves treasures in heaven, where neither moth nor rust destroys, and where thieves do not break and or steal; for where your treasure is, there will your heart be also." And someone in the crowd said to Him, "Teacher, tell my brother to divide the family inheritance with me." But He said to him, "Man, who appointed Me a judge or arbiter over you?" And He said to them, "Beware, and be on your guard against every form of greed; for not even when one has an abundance does his life consist of his possessions." And He told them a parable, saying, "The land of a certain rich man was very productive. 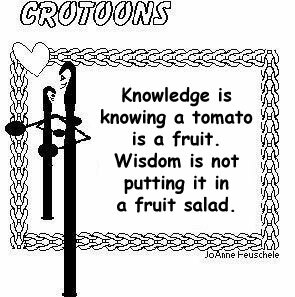 And he began reasoning to himself, saying, 'What shall I do, since I have no place to store my crops?' "And he said, 'This is what I will do: I will tear down my barns and build larger ones, and there I will store all my grain and my goods. And I will say to my soul, "Soul, you have many goods laid up for many years to come; take your ease, eat, drink and be merry." But God said to him, 'You fool! This very night your soul is required of you; and now who will own what you have prepared?' "So is the man who lays up treasure for himself, and is not rich toward God." TO GAIN WHAT HE CANNOT LOSE ." and it is better to be a _____ man than a ______. stitches in order to make the project lay flat. Keep a small waste basket or other small container near your favorite crochet spot. Put all your yarn scraps in it so you don't end up with a lap full of little pieces of yarn. Here is something that some may want to participate in. you cannot do what you ought not to do! This looks like a fun stitch, can't wait to try this on some Easter baskets! OK. Now wanted to ask you a question. I saw a hat called the "Skally" hat, do you know anything about it and if there is a pattern for it, where can we get it? My grandson is a big crocheter now and is making hats for all and asked me if I had the pattern, which I dont. I have looked everywhere I have any access and no luck. so decided to ask you if you even heard of it. I think it is an English hat for boys over there. It is pretty unique and would appreciate any info you may be able to come up with. It is different !!! Still get your newsletter and copy many of the patterns and do so much appreciate what you do for all us crocheters out here. 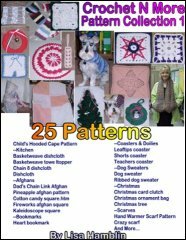 Many of us just cant afford buying patterns and so are in luck to find so many good ones on your site. Thank you again for all you do. We really do appreciate it. A Scally hat is similar to the Newsboy Hat. Hope your Grandson enjoys these! This type of hat is known by a dozen different names... that one is a “jeff cap”. I just wanted to say thank you! I used your bootie pattern last night to make my first bootie! It came out beautifully! I love your tutorials with pattern. This is how I learn to do pattern and can read pattern as we go along. "So glad I found you !! Through a friend who was helping me find a Cross bookmark pattern with just a picture that I took of a friends who wanted some more made !! Happy, happy, happy !! Thank you for helping me find the pattern !! ♥♥"
Thank you so much for this tutorial. I really appreciate the way you had the pattern available to follow along with and explained how to read the pattern as we went; that helped me a lot. I am looking for a pattern to do raised/popcorn letters or letters in a flat, different colour, on separate granny squares and not on an entire ABC blanket. A, B, C, D, E, G, F, G, H, I, K, L, M, N, O, S and Y. Are you perhaps able to help please? While these are not “granny squares” each is 15 stitches wide not including the border. hook and yarn to get a smaller version. I received a email with a pattern for a toilet tissue cover of yours. I was wondering if you by any chance have the pattern for the Santa face that is a toilet tissue cover? I have been searching and just cannot find it. I have a cover and a friend wants one. I am trying to figure it out by looking at it, but not having a lot of luck. This pattern uses Bernat Baby Coordinates... not sure how many plies. The instructions are not quite clear to me. It does not make sense. "Finished this today! Thanks. I got some help from YOU!" Love your pattern, but was disappointed that it was much to small for my adult head. I didn't use the Homespun, which may have stretched more than my Caron Simply Soft! Any suggestions on sizing?? Thank you so much for taking the time to let me know you made this pattern. Simply Soft is a much thinner yarn... that's why the size was small. You can also increase your hook size to achieve a larger hat. two strands worked together will give you the size you need. Other than the size you ended up with... did the pattern work up well for you? Is Simply Soft is a yarn you use often? I will be glad to add a hat pattern using Simply Soft to my list of design ideas. Thanks for the nice reply. The pattern worked fine, I will donate to a charity. a try as it streches more than the Simply Soft. I downloaded your Magnolia blossom pattern. I have no idea ,however, what the stitch "esc" might be. It is a single crochet, but what is the "e" part??? Help! I am anxious to make this beautiful pattern. Thank you! Hope you enjoy the pattern! I have found your Easter Basket pattern on line and I like what I see but I am curious what is a love knot? I have never heard of that stitch and would like to know how it is done. Chain 1 loosely, single crochet in the hump on the back of the chain. Does anyone have any suggestions on what to do if your hand is hurting too bad to crochet? I'm not sure if I've crocheted too much or it's the new job I started back in December. I need to get 3 blankets done by yesterday and more done today(lol). Anything will be helpful, Thanks so much. http://www.physioadvisor.com.au/8114450/hand-stretches-hand-exercises-physioadvisor.htm Ibuprofen helps with inflammation if you can take it. "Hi, a friend of mine is going to make his first doily using crochet thread and we have a question i'm hoping somebody can answer for us. When you crochet with this thread, should you wind it into a ball or just leave it on the spool it comes on? Thanks for any help. :-)"
I crochet directly from the spool. Thank you so much. :-) I also noticed on your website, for your doily patterns you sometimes call for "bedspread" thread, is that just pretty much the same thread you can buy at Walmart? You're welcome. Yes... I buy the #10 bedspread weight cotton at Walmart. Thanks for pattern. I had the same colors & changed around. The video was very easy to follow. Not all crochet hooks are created equal. Actual hook sizes may vary a little between brands. Good to know.. I did not know that! Yep, always check MM size too. not just letter size, companies vary greatly. It depends on the company/brand... each have their own guidelines on sizing. You can crochet using one brand of hook and then make the same pattern using another brand and end up with two totally different sizes. It pays to check gauge when a pattern calls for it. When patterns require numerous chains... make a few extra just in case... you can back them out if not needed. Tip: when working with numerous chains. . .use 2 skeins of yarn; begin chain one; attach 2'nd skein in 1st chain to work pattern. When you need more chains, add them with the 1st skein; if you have to many, pull out. Just finish off 1st strand when you have your first row done. That way your count is ALWAYS right and puts an end to the frustration of getting the beginning chain count right. 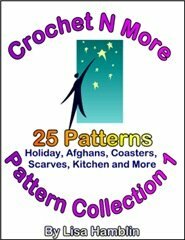 What confuses you most when it comes to reading a crochet pattern? THANK YOU VERY MUCH FOR THIS TUTORIAL. I like this way better than my magic circle technique that I now use, It is more secure. Crochet Tip: Hanging Closet Organizers are great for yarn storage. OMG, Lisa!!! I love this way to join!!!! 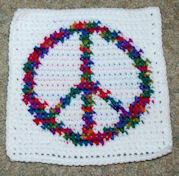 I am going to do this for my next afghan!!! thank you! Thank you! Thank you!! Squeeeeeee! Gotta make it for MY Shih Tzus! Thanks for posting this, I have been searching for a crochet dog sweater! 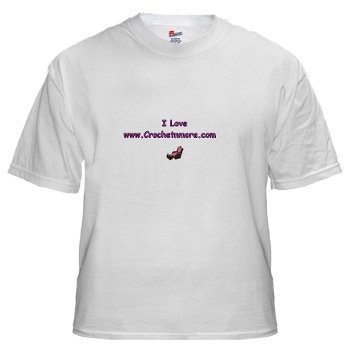 Read what our viewers love most about crocheting! Wow, that looks to pretty to be a discloth. Looks like it could be a doily! The center is made from netting I recycled from a bag that oranges came in... that's what makes it a scrubbing dishcloth. Do you know a little girl that doesn't have a baby to hold and care for? Please visit our site and click on request a doll on the left hand side of the site. on the request for that it’s for a little boy so we know to send a teddy..
with all the information on there. We also have Santa letter's, items for sale.. all proceeds goes to Molly's Babies inc.
and a lot more. stop by and check us out.. look forward to your visit. Click here for ways you can help! 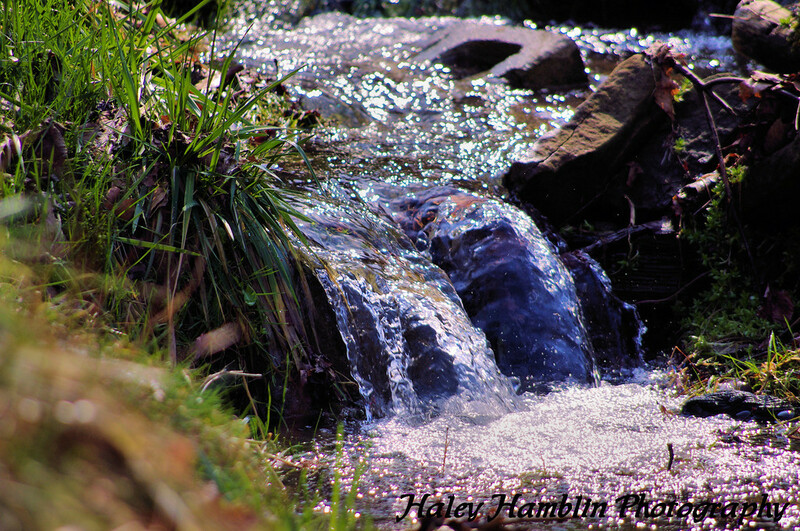 Unique photos at reasonable prices! Get your copy of the Gas Mileage Guide today! There's also a free Version available. and having fun without breaking the bank. I have to tell you about this new book. I'm so happy to have it in my crochet library.Katherine Lee has an eye for style and a definite knack for creating beautiful crochet patterns. I was really happy with the large colorful project photos. I can't wait to try the Flirty Skirt and the Ruffled Strap Tank. Get your copy of Fabulous & Flirty Crochet today! If your home business isn't growing as fast as you'd like, maybe you need to move to a new neighborhood! Come be a part of our home and small business community at Creative Enterprises! An 11-year-old boy was doing his violin practice at home and the torturous noise was making the dog howl. Upstairs the boy's father was trying to work on the computer. After putting up with the combined racket of the violin and the dog's wailing for 20 minutes, the father eventually called out, "Jason, can't you play something the dog doesn't know?" A teacher was giving a lesson on the circulation of the blood. Trying to make the matter clearer, he said: "Now, students, if I stood on my head the blood, as you know, would run into it, and I should turn red in the face." "Yes, sir," the boys said. "Then why is it that while I am standing upright in the ordinary position the blood doesn't run into my feet?" A little fellow shouted, "'It's because your feet ain't empty." to tell the driver he is 4 years old when asked because he will ride for free. Johnny how old he is. "I am 4 years old." "And when will you be six years old?" asks the driver. "When I get off the bus," answers Johnny. A nursery school teacher was delivering a station wagon full of kids home one day when a fire truck zoomed past. Sitting in the front seat of the fire truck was a Dalmatian dog. The children started to discuss the dog's duties. "No," said another, "he's just for good luck." "I know!" said a third..."They use it to find the fire hydrant!" A father in a hurry, taking his 8-year-old son to school, makes a turn at a red light where it isn't allowed. "Uh oh, I just made an illegal turn!" the man says. "That's okay, Dad," the son says. "The police car right behind us did the same thing." Three friends from the local congregation were asked, "When you're in your casket and friends and congregation members are mourning over you, what would you like them to say?" Gene replied, "I would like them to say I was a wonderful teacher and servant of God who made a huge difference in people's lives." Don answered, "I'd like them to say, 'Look! He's moving!'" My family is practical. At day care, my four-year-old watched as a teacher pulled something hot from the oven. "What's that on your hand?" he asked. "An oven mitt," she said. "It keeps me from getting burned. Doesn't your mother use them?" "No, my mom's just really careful when she opens the pizza box." My mom is a less than fastidious housekeeper. I can write my name in the dust on the mantel." Mom turned to him and sweetly replied, "Yes, darling, I know. That's why I married a college graduate." allowing the boy to attend the up-coming School Picnic. harsh, relented and changed her mind. the child's reaction, which was one of unexpected gloom and unhappiness. I am five feet, three inches tall and pleasingly plump. After I had a minor accident, my mother accompanied me to the emergency room. The ER nurse asked for my height and weight, and I blurted out, "Five-foot-eight, 125 pounds." While the nurse pondered over this information, my mother leaned over to me. "Sweetheart," she gently chided, "this is not the Internet." A skeptical parking officer removed the bag, inserted a quarter in the meter and turned the dial. It worked perfectly. As the officer began to write a parking ticket, the car's owner rushed out of a nearby building. "What are you doing?" he yelled after a quick glance at the meter. "There's plenty of time left!" A golfer who lost his ball fumed at his young caddy. He snapped, "Why didn't you watch where it went?" The lad replied, "Well sir, it usually doesn't go anywhere, so it took me by surprise."